Start taking classes at E60 Fitness and other studios! 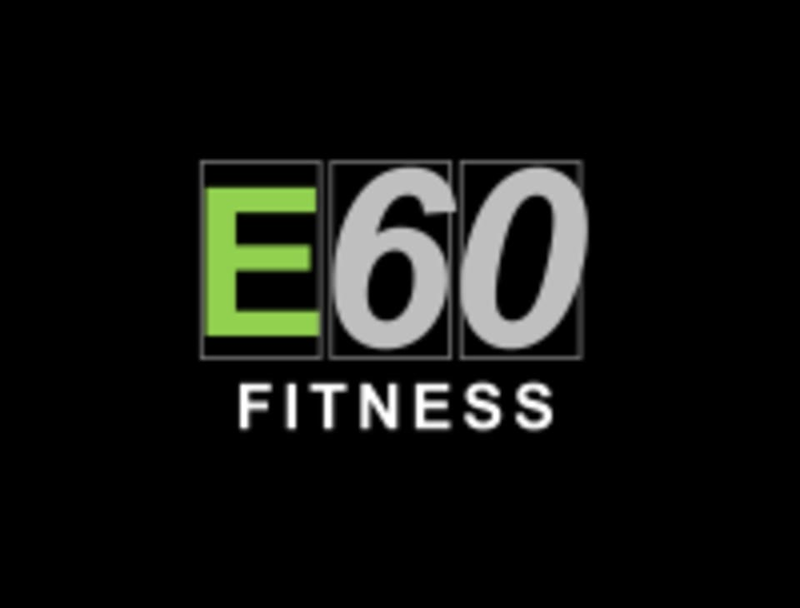 E60 Fitness provides comprehensive and innovative group training in a small studio atmosphere. Their proprietary interval training class, Elevate 60, is a one-of-a-kind gut busting, muscle building experience. The class incorporates cardio intervals, strength training, and functional movement and the exercises change daily to pack in variety and keep your body guessing. Heart rate monitoring technology is used in their classes and they have unique, custom equipment to provide a truly effective workout. The studio will loan each participant a wearable heart rate monitor for use in each class. Each participant's heart rate and calories burned will be displayed on screen in real time. If you are attending E60 for the first time, please be sure to arrive a few minutes early so that they can set up a heart rate monitor with your personal details. 1524 Clarendon Blvd, near the corner of N Ode St. (Sedona & Slate building) - Street parking is available surrounding the building, but is metered. There are also parking garages nearby. - Metro accessible from the Rosslyn metro (short distance uphill) and the Courthouse Metro (downhill). I really like e60, but felt the size and pace of this class was slow. had to wait for instructions at 3/5 stations and didn't love the flow. also, for a core day it was really more of a full body workout. will continue to go back but prefer the small group classes and days more focused on muscle groups! Thanks for your comments and feedback! Each workout is intended to be a full body workout, just with a focus on a specific muscle group. Your core is activated heavily in several types of exercises (outside of isolated core motions), so core day can definitely feel more like full body in the way that it's executed. For the larger classes, there are several stations that the instructor has to coach (that's how we can pack so much variety into a comprehensive workout). When you move to a new station you are always given an exercise to perform, even before the coach comes by to demonstrate the full circuit, so there is never any waiting around. I'd recommend making sure to listen for those cues and instructions from the coach as you rotate stations. The boards at each station also indicate the motions before the coach comes by so you're always welcome to get started early if you're familiar with the exercises for that day. Cheers to healthy living! Great instructor but facilities are not kept up and starting to look old and dirty. Thanks for the feedback. We'd love if you could tell us more about what you're referring to in regards to the facilities. Our facility is less than 2 years old, and we've continuously upgraded it throughout that time and invested serious funds into improvements. For example, in the less than 2 years we've already replaced the entire turf and rubber flooring, replaced all of our treadmills with top of the line runners, added several new mirrors throughout, brought in new equipment quarterly, re-painted quarterly, added new lockers, added new seating in reception areas, and several others. We clean the studio after each class, clean the full facility twice daily, and perform a deep clean weekly. We will continue to focus on a clean and organized facility, and appreciate any additional feedback you have to offer. Jaime is the best! So upbeat and what a great workout! Joe was a great instructor! Excellent work out!! It was very easy to follow especially with a small class of only 6 people. I didn't feel uncomfortable or judged if I needed the trainer to repeat something! Definitely feeling soar. Along the lines of Orange Theory but I feel this was more comfortable and much less intimidating. I would recommend this for all workout levels, especially beginners at strength training!